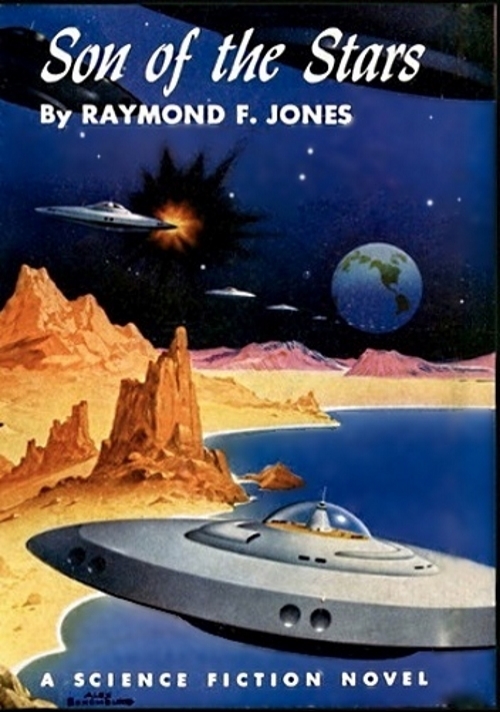 The public library in my home town — College Park, GA — introduced me to the science fiction novels published by John C. Winston. 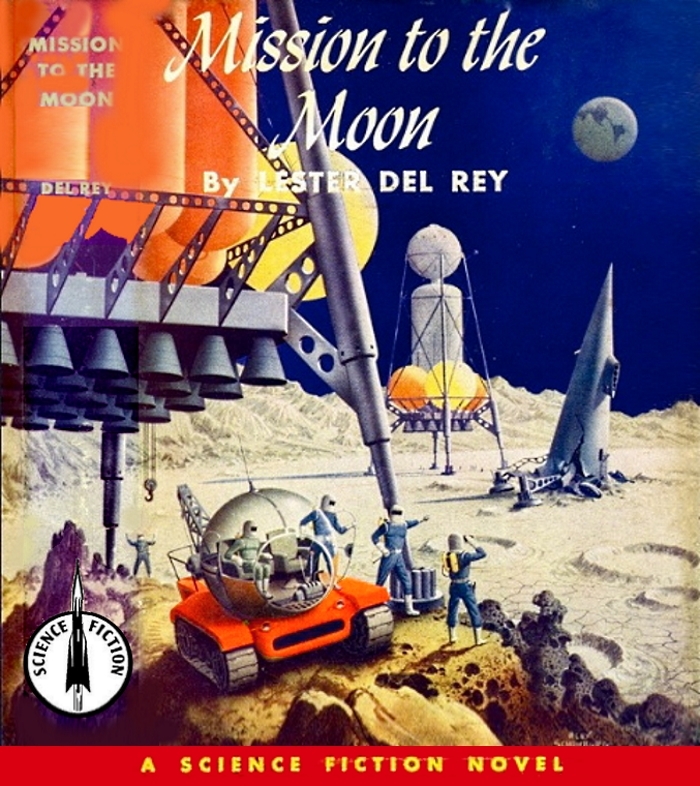 The covers were great, and even the backside of each book's cover had this great artwork by Alex Schomburg, who also did many of the cover illustrations. 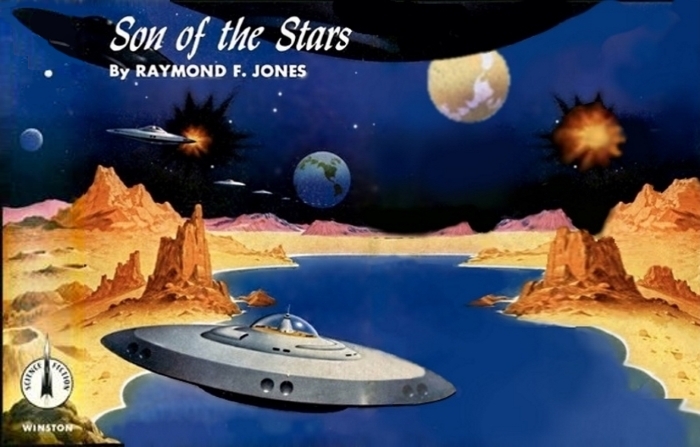 The only one I remember specifically checking out from the library was Son of the Stars by Raymond F. Jones (the author of This Island Earth), which was a special favorite of mine. But there many other great ones, too. 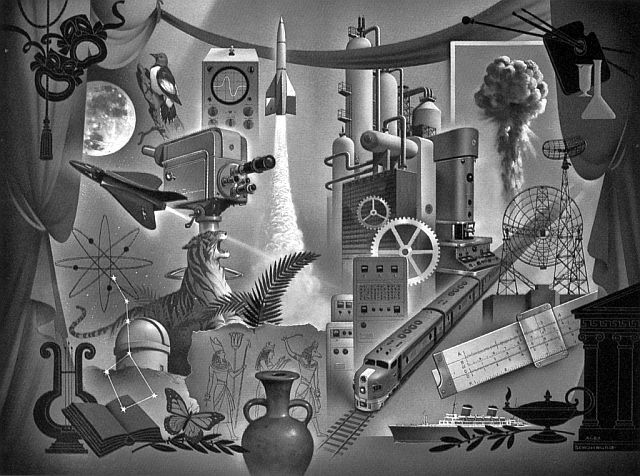 — and I'm sure that Alex Schomburg's original painting included more than what we see above, but I've never been able to find an image of it. So I took a crack at creating a wider version, just for fun. 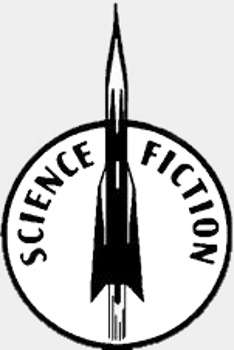 But I do have vivid memories of standing in front of the library shelves that held the science fiction books and looking for the ones which had the John C. Winston logo on the spin. 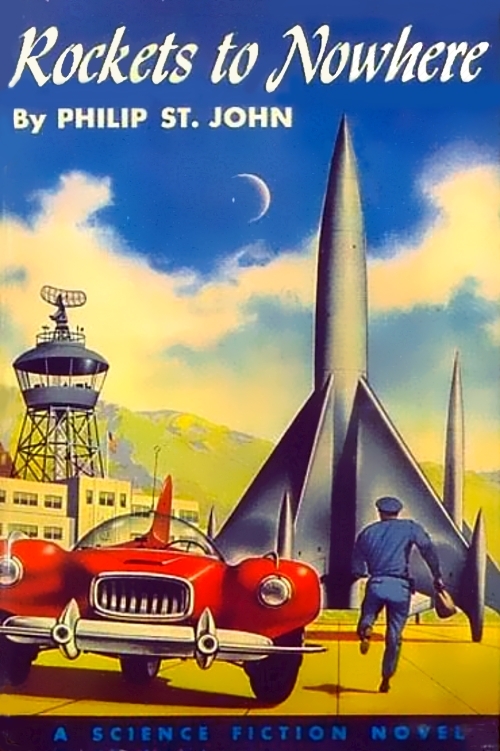 I like that rocket almost as much as the one in the All Sci-Fi logo! But then there's a lot of nostalgia connected with both of those rockets. The one below is an ultra-streamlined version I created . . . again, "just for fun". 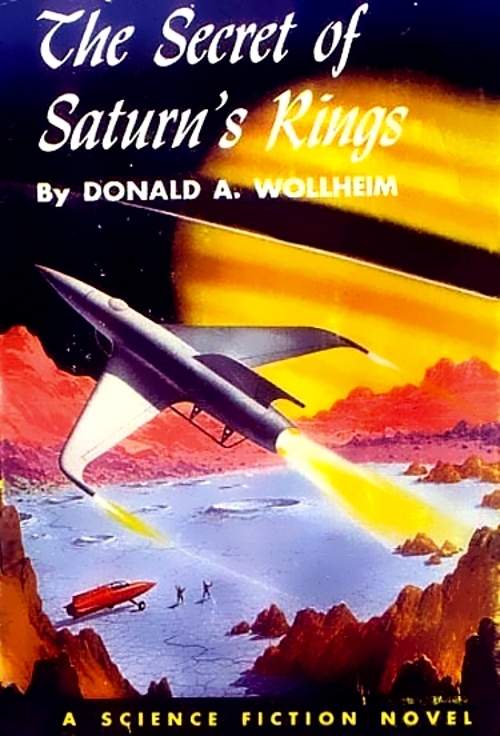 Obviously I chose the covers below from the Winston publications because they presented Mr. Schomburg's preferences in rocket designs. For the record, I spent several hours restoring and enhancing each image below. The originals were scans of tattered and faded dust covers, and it took me quite a while to make each one look as good as it deserved. That said, here are some examples of the books and the cover art that inspired my love for science fiction . 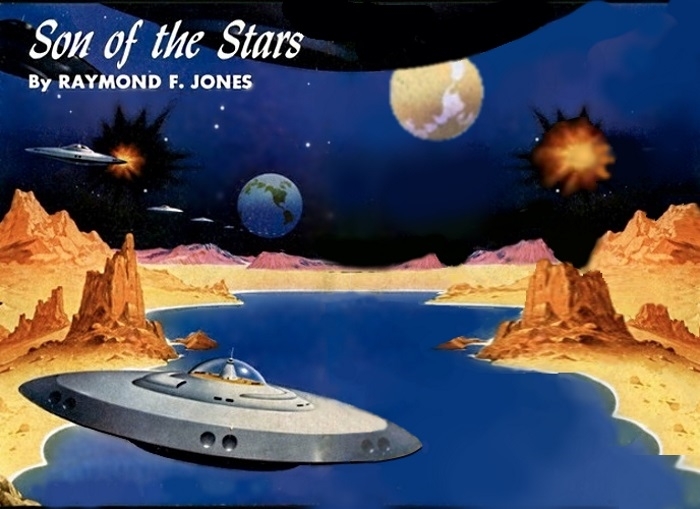 . . and eventually led me to create All Sci-Fi. So . . . now it's your turn, folks! Please, share your own literary inspirations, your fond childhood experiences, and your youthful dreams of the future! In other words, this is the "what I read as a kid" thread! Wonderful job on the restorations! I meant to include this one, but I left it out by mistake. 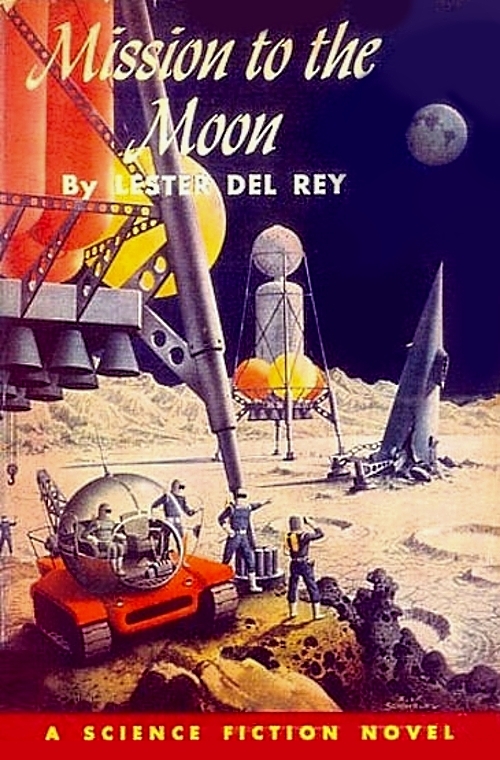 The last one on the post above (Mission to the Moon) was scanned by someone who removed the dust jacket and opened it up to include the portion of the cover that included the spine of the book! The first one below only shows the cover. But the one below it includes the spin. The second one required extensive restoration work on the portion along the spin, because it was faded, discolored, and damaged. 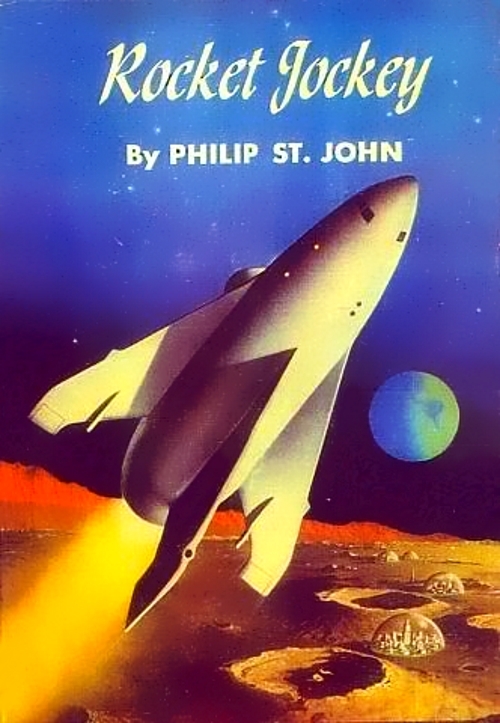 Notice the "Winston rocket" logo on the spine at the lower left of the second one. I pasted in the image of the logo shown above in the first post to make the logo look right with the expanded cover. You can still see a pale area on the lower left, from the rocket tubes down to the purple rocks above the rocket logo. I just couldn't restore that section as well I wanted to. Those Winston Juvenile covers are great! You showed one of Schomburg's endpaper illustrations....the best of the pair, but here's the other one...from the back of the books I believe. 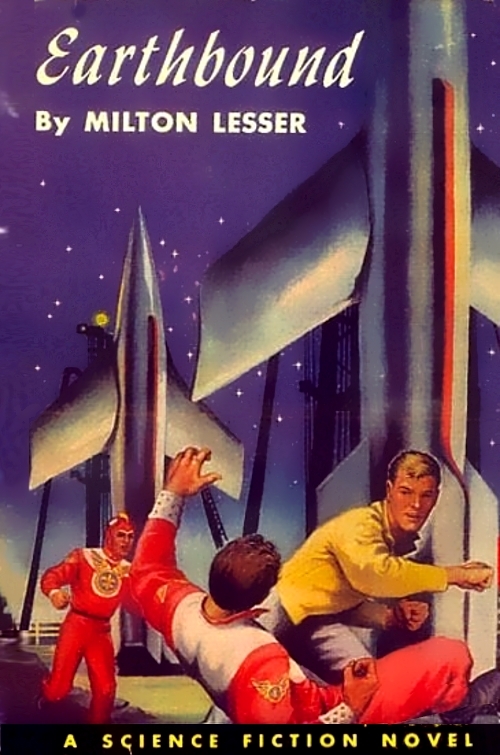 On the Science Fiction Message Board, Custer posted a jpeg of the book cover with the spine section included! 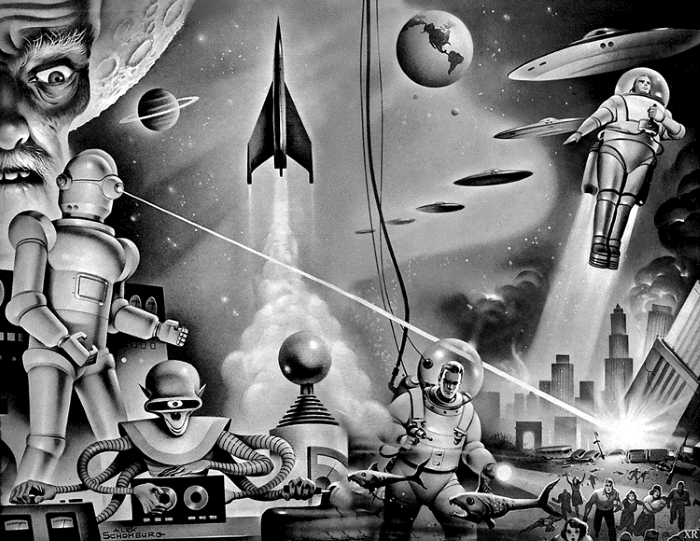 So, I was able to add the additional area of Alex Schomburg's painting to my self-made expanded version shown above. 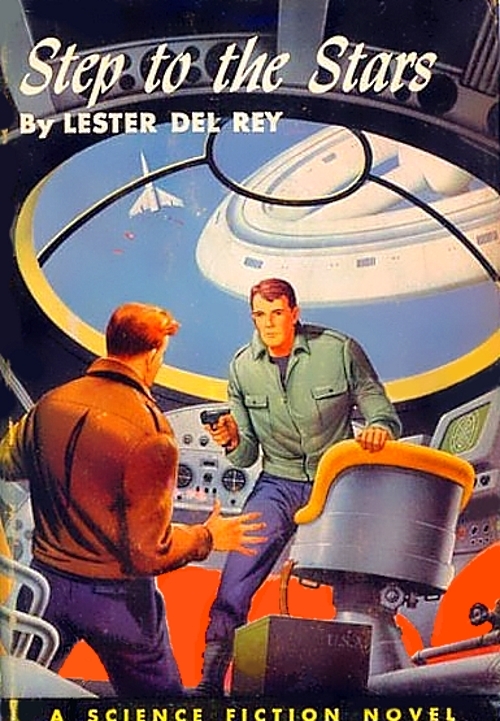 I love this new expanded version, a collaboration between Alex Schomburg and your's truly! For comparison I've posted the original cover of the book, then my original expanded version, and finally my new expanded version.